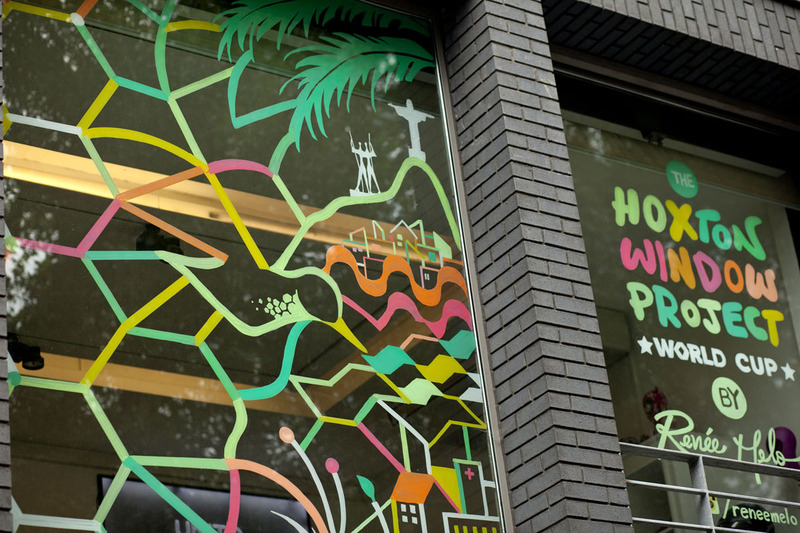 For the World Cup I had the amazing opportunity to be part of the Hoxton Window Project in London! With bright fluo markers the illustration is like a goal metamorphosis. 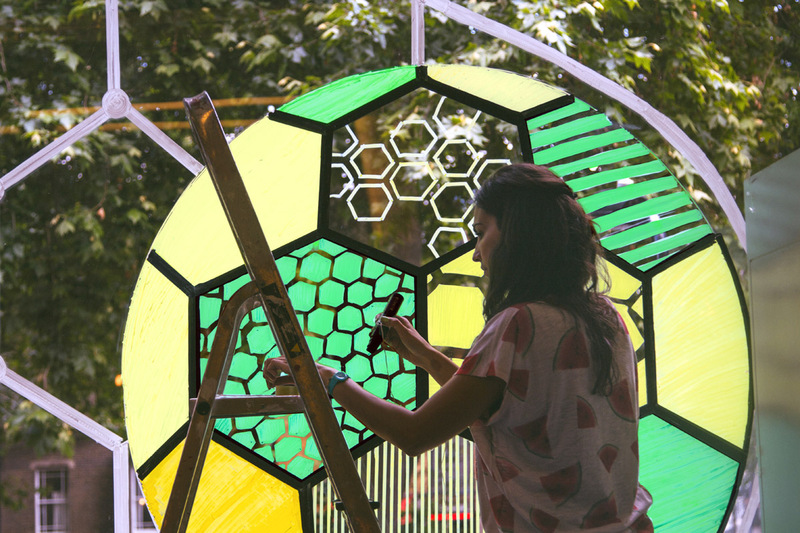 The ball in the net which then transforms and blends itself into Brazilian elements that are either holding it or stuck in it. 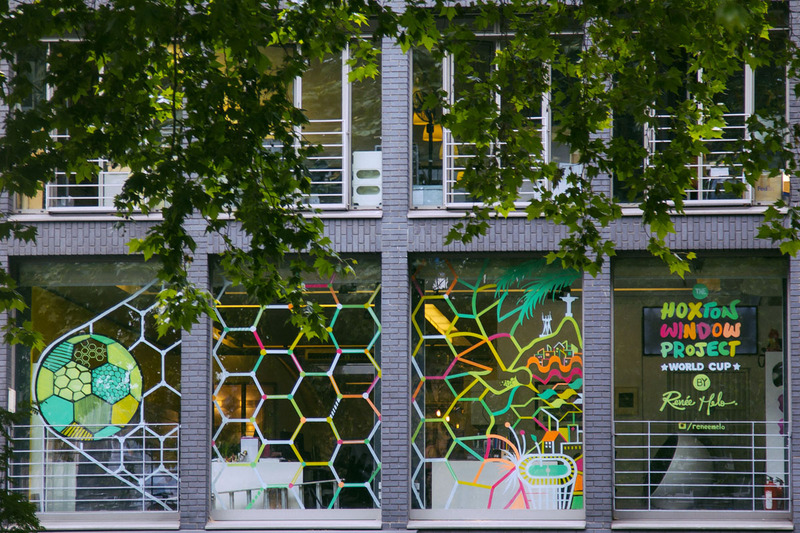 The Hoxton Window Project is hosted and curated by UNIT9. 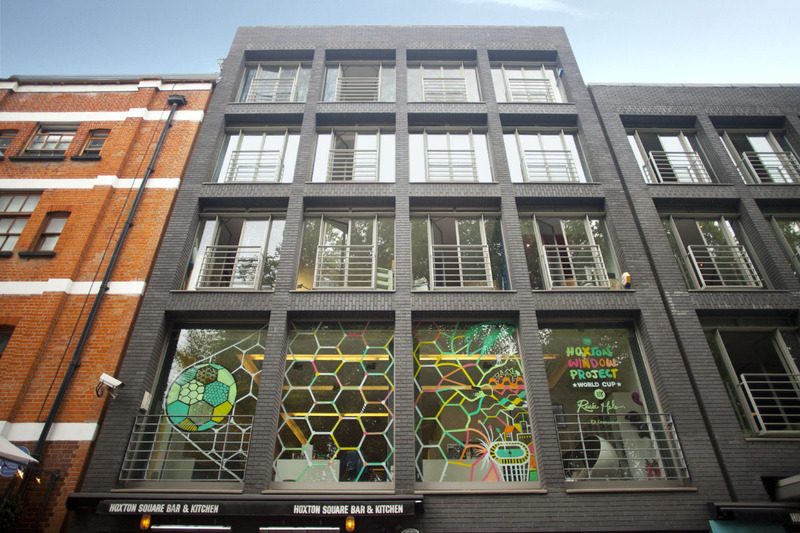 Their premise is simply to have their windows overlooking Hoxton Square covered with the most interesting art, whatever form that takes, done by all different types of artists. Sarah Cutler, Andrew Davis, Nadeem Daniel, Kamil Cholewiński, Rafa Peres, Carol Rivello, Alberto Venditti, Tamás Olajos, Frank Silveira, Cowling & Wilcox.